Side effects of epilepsy drugs? How long does epilepsy treatment last? What type of surgery is available for epilepsy? What are other epilepsy treatment options? The majority of epileptic seizures are controlled through drug therapy, particularly anticonvulsant drugs. The type of treatment prescribed will depend on several factors including the frequency and severity of the seizures as well as the person's age, overall health, and medical history. An accurate diagnosis of the type of epilepsy is also critical to choosing the best treatment. Many drugs are available to treat epilepsy, several of which have only recently been released. In general, for a given type of epilepsy there are only minor differences among appropriate drugs. The choice is most often based on other factors specific to each patient, such as which side effects can be tolerated by the patient, other illnesses they may have, and which delivery method is acceptable. Do you know the difference between seizures and epilepsy? A seizure is a general term for a sudden attack. 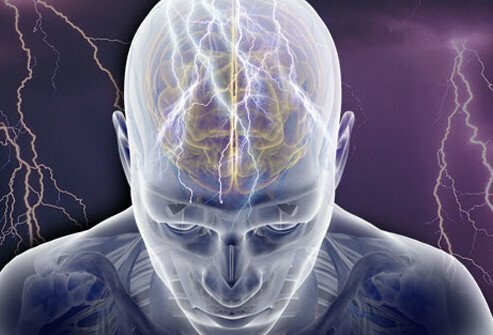 The term seizure is used in neurology (the medical specialty dealing with the nervous system) to refer to the sudden onset of abnormal electrical discharge within the brain which can lead to convulsions. Convulsions are uncontrolled violent spasms (jerking) of muscles of the body. Epilepsy is the medical term for the condition of having chronic seizure disorder. Before any epilepsy drug is prescribed, your health care provider will discuss with you the potential benefits, side effects, and risks. As is true of all drugs, the drugs used to treat epilepsy have side effects. The occurrence of side effects depends on the dose, type of medication, and length of treatment. The side effects are usually more common with higher doses but tend to be less severe with time as the body adjusts to the medication. Anti-epileptic drugs are usually started at lower doses and increased gradually to make this adjustment easier. Common or predictable side effects. These are generic, nonspecific, and dose-related side effects which occur with any epilepsy drug because it affects the central nervous system. These side effects include blurry or double vision, fatigue, sleepiness, unsteadiness, as well as stomach upset. Unique side effects. These are those that are not shared by other drugs in the same class. For example, Dilantin or Phenytek can cause the gums to swell and Depakene can cause hair loss. Your doctor will discuss any unique side effects before prescribing the medication. In some types of epilepsy, patients can be taken off treatment after a few years, while other types of epilepsy require life-long treatment. With few exceptions, patients who are seizure-free for a certain period should be reevaluated to determine whether the drug can be discontinued. How long the seizure-free period should be varies among the types of epilepsy and is controversial even for a given type. The decision to discontinue a medication also depends on more than the length of the seizure-free period. What is clear, however, is that epilepsy drugs should at least be considered for discontinuation in patients who are seizure-free for 10 years. If a medication is going to be discontinued, it should be weaned gradually to avoid triggering a seizure. Most patients with epilepsy do not require surgery. However, if seizures are not controlled after a trial of two or three medications (usually accomplished within two years) then re-evaluation is suggested. This information is critical in deciding if epilepsy surgery is an option. Of the 30% of patients whose seizures cannot be controlled with drugs, approximately one third (more than 100,000 in the U.S.) may be candidates for epilepsy surgery. However, only about 3,000 epilepsy surgeries are performed annually. Before surgery is considered, a comprehensive presurgical exam is performed. This evaluation is performed to ensure that the operation will likely improve the seizures and that it will not cause damage to essential functions such as speech and memory. The evaluation requires prolonged EEG-video monitoring and other tests to pinpoint the exact location of the injured brain cells causing the seizures. The location of the damaged cells determines whether the surgery can be performed and what technique should be used. The multidisciplinary evaluation is directed by a neurologist specializing in epilepsy (an epileptologist). A patient's eligibility for surgery is determined jointly by the neurosurgeon, neuroradiologist, neuropsychologist, social worker, and epileptologist. The decision to have the surgery is made jointly by the patient and the epileptologist after carefully reviewing the risks and benefits of the procedure. Surgery is most commonly performed to treat partial epilepsy, since only one area of the brain is involved. During surgery, the area of the brain that triggers the seizures (usually a portion of the anterior temporal lobe) is removed. After surgery, some patients will be completely free of seizures; in others, the seizures will be better controlled. A few patients may need additional surgery. Other surgical approaches are reserved for specific types of epilepsy and are most often performed in young children. One approach is to remove a large part of one side of the brain (a hemispherectomy); another is to cut the nerve fibers connecting the two sides of the brain (a corpus callosotomy). The ketogenic diet has received much attention lately and is effective for treating certain types of epilepsy. Specifically, it is used most frequently in children with seizures that have not responded to medical therapy. However, the diet requires careful planning and may be difficult to follow, so it is usually not recommended in older children or adults. The diet is usually started in the hospital, and when successful, it is most often maintained for two to three years. A relatively new treatment involves electrical stimulation of the vagus nerve. This treatment requires minor surgery to implant a stimulator, which is about the size of a silver dollar. The stimulator is placed under the skin in the upper chest, like a pacemaker. The treatment appears to be effective for seizures that do not respond well to medications alone. The degree of effectiveness of the vagus nerve stimulator is approximately the same as medication. Vagus nerve stimulation decreases seizure numbers by half or more in 40% to 50% of patients, but rarely eliminates all seizures. Almost all patients need to continue taking medications after the stimulator has been placed, although many people can take fewer drugs. Drug interactions, dosage, pregnancy and breastfeeding safety information should be reviewed prior to taking this medication. Lamotrigine (Lamictal, Lamictal CD, Lamictal ODT, Lamictal XR) is a drug used in combination with other anti-seizure drugs for the treatment of partial seizures, tonic-clonic seizures of Lennox-Gastaut syndrome. It is also prescribed for individuals over the age of 18 for the prevention of mood episodes in individuals with bipolar disorder. Side effects, drug interactions, warnings and precautions, and pregnancy safety information should be reviewed prior to taking this medication. Keppra has few drug interactions, and it should be used during pregnancy and breastfeeding only if the potential benefits of the drug justifies the potential risk to the fetus and infant. The abuse and potential dependence on this drug hasn't been studied in humans. While there are no known incidences of overdose with Keppra, signs and symptoms of overdose are sleepiness, agitation, aggression, a depressed level of consciousness, respiratory depression, and coma. Discuss any concerns about this drug with your doctor, pharmacist, or other health-care professional. Phenytoin (Dilantin, Dilantin-125) is an oral and injectable drug prescribed for the treatment of seizures. Side effects, drug interactions (many interactions), and pregnancy safety information should be reviewed prior to taking this medication. Researchers do not knew exactly how primidone works in the body. Antiepileptic drugs (AEDs), for example, primidone (Mysoline), increase the risk of suicidal thoughts in patients taking antiepileptic drugs regardless of why your doctor has prescribed them to you. If persistent or severe side effects persist, the drug may need to be withdrawn. Researchers do not know the risks of taking primidone during pregnancy or while breastfeeding. Pregnant women with epilepsy who are taking anticonvulsant drugs have an increased risk of having a child with birth defects. Primidone is secreted in breast milk, but there are no tests to determine how much of the drug is secreted. Therefore, doctors do not recommend taking primidone if you are breastfeeding. REFERENCE: Primidone FDA Prescribing Information. Topiramate (Topomax, Qudexy XR, Topamax Sprinkle, Topiragen, Trokendi XR) is a drug prescribed for the prevention of the seizures of epilepsy and prevention of migraine headaches. Side effects, drug interactions, pregnancy safety, and warnings and precautions should be reviewed prior to taking this medication. Valproic acid, divalproex (Depakote, Depakote ER, Depakene, Depakote Sprinkle, Depacon, Stavzor) is a medication prescribed for the treatment of seizures, bipolar disorder, and prevention of migraine headaches. Side effects, drug interactions, warnings and precautions, pregnancy information, and patient information should be reviewed prior to taking any drug. Zonisamide (Zonegran) is a prescription drug prescribed as supplemental therapy in treating partial seizures. Side effects, drug interactions, dosing and storage information, and pregnancy safety should be reviewed prior to taking this medication.